If you’re ready for a new garage door installation in Pittsburgh, PA, we can help. 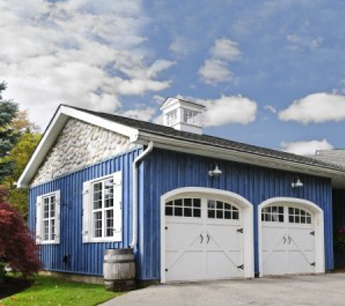 Not only is the beauty of your home or office improved by a new garage door, but a new entry also increases the functionality of your building. Therefore, this long-term investment should not be made with haste. It will be a decision that our professionals can help you with to ensure you get the right product and your money is well-spent. We have experience in working with all kinds of garage doors, which makes it easy for our team to install any door with perfection and ease. We’ll spare you the confusing instructions and give you peace of mind knowing that it’s installed the right way, the first time. 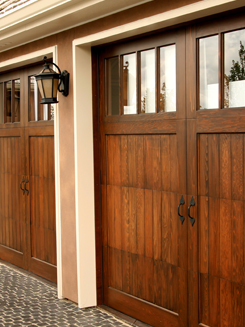 With over 25 years of experience, Steel City Garage Doors can connect your new door, using a variety of materials so we can offer various price points to keep you on budget. Our company offers garage door install services for more than 1,000 different designs including wood, steel, composite, aluminum, and glass. We’re sure to meet most tastes and preferences to help you transform your garage and home. Adding that aesthetic design will improve the curb appeal, and alternatively increase the value of your home. In the future, if you decide to sell your home, the new door will provide a new attractive selling point for prospective buyers. Our website provides an online garage door visualizer tool. You can quickly upload a picture of your house or even choose from the sample homes we have. The next step is to select a door design you prefer and view it on your home. It’s a fantastic way to get an accurate visual of the result! Combined with the residential services we offer, our commercial garage door installers provide a functional and practical door to fit all your needs. From storage units, repair shops, and bay doors for distribution centers, we offer functional designs for commercial locations. These commercial installations are not only functional but offer a durable product that can withstand heavy use. Our professionals are highly trained and understand how to work with all types of commercial garage doors. Whether you need a residential door or you’re a commercial facility requiring a durable type door, our team is ready to complete the job for you in a professional manner. We’ll show up at your location prepared to finish the job to your satisfaction. Contact our experienced garage door company today for an on-site quote for your pending installation. We proudly serve Pittsburgh, PA, and the surrounding area.